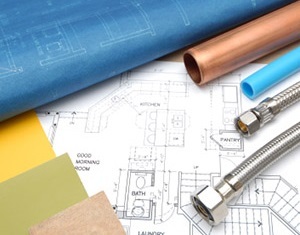 Your plumbing system is an essential part of many elements of you and your family's daily life. At Franklin Plumbing & Drain Cleaning, we understand that, so our Blythewood plumbers provide a wide range of plumbing services to help you keep every part of your plumbing in great shape at all times. Whether you need water heater maintenance or drain cleaning services, you can always depend on our experts for quality work. Give us a call today to schedule your plumbing services, and we'll be looking forward to working with you. There's a reason why locals call us when they need a plumber in Blythewood, SC. Water heaters are constantly working, they're used every day, and they're almost never turned off, so it's easy for them to develop problems at any time. Your water heater needs to be kept in great shape, so it's important that it receives regular maintenance and prompt repairs. When your water heater starts showing signs of any problems, our professionals will be able to provide thorough and accurate repairs. We can also provide maintenance services to help prevent problems, and we can perform a replacement when necessary. In order for your plumbing system to operate properly, its drains need to be clean, clear, and free-flowing. Any obstructions, clogs, or buildup will impair your drains and make every part of your plumbing system less functional. Our drain cleaning services can thoroughly eliminate any kind of blockage in your home's drains to ensure that they're totally effective and efficient at all times. Our drain cleaning services for Blythewood homes and businesses are much more thorough and effective than store-bought chemical solutions, and our professionals look forward to helping you keep your plumbing system in great shape. "I thank you for going above and beyond to help me with my dryer hook up. God Bless." If you are looking for a professional plumber in Blythewood, SC then please call 803-799-2222 or complete our online request form.